It’s true! 2 Girls Who Travel definitely love to travel. We also love to find great restaurants – hidden gems – here in Houston and around the country. But our other love is cultural arts – museums, music and theater. We have spent many, many hours emerged in cultural art finds. We recently attended the opening night of Syncing Ink, by Nsangou Njikam, which is part of the Alley Theatre’s ‘Alley All New Festival’. We went in not knowing exactly what to expect, but left pleasantly surprised. 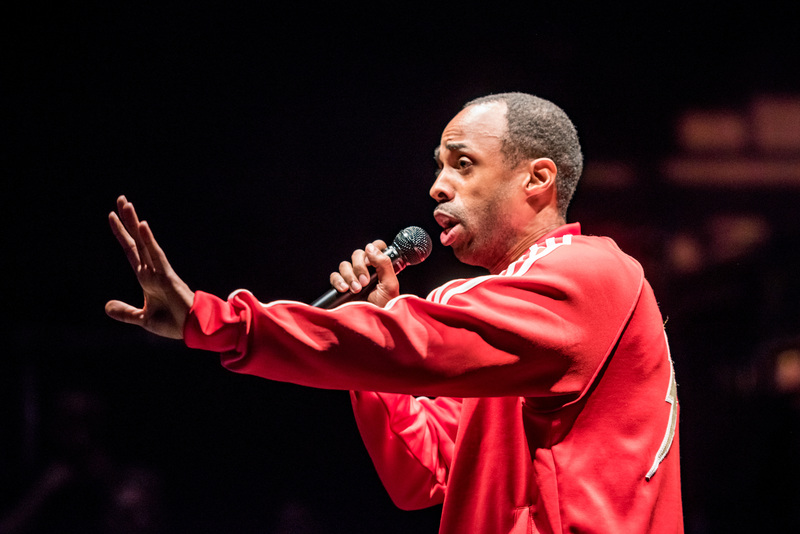 Syncing Ink brings Hip Hop Theatre to Houston and we love it! 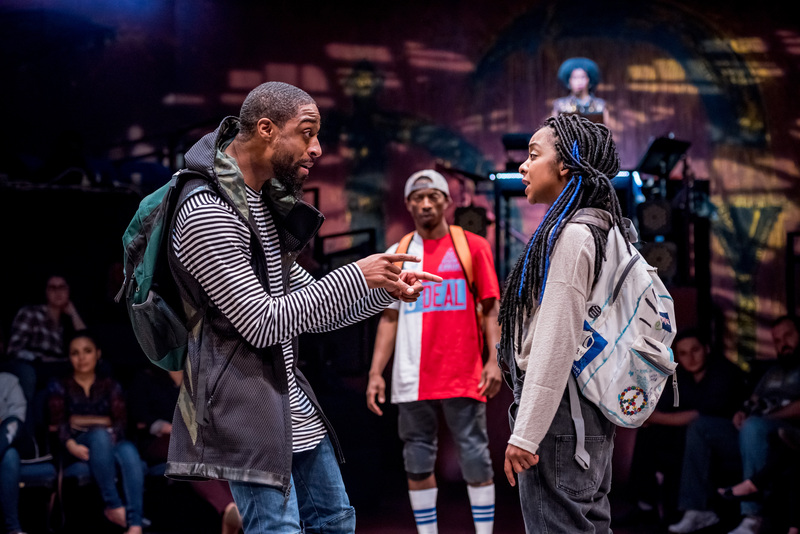 It chronicles the true events of a young man finding his voice, legacy and purpose through hip hop, while set in the present day and his past high school and college years. 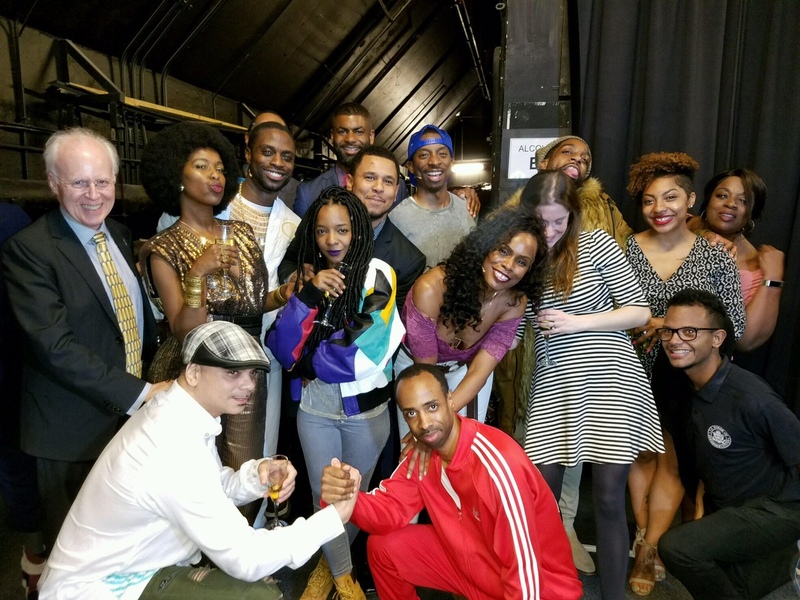 The talented cast includes Nsangou Njikam (Gordon), McKenzie Frye (Mona Lisa), Nuri Hazzard (Jamal, Professor Brown), Elisha Lawson (Ice Cold, Chance), Adesola A. Osakalumi (Mr. Wright, Gordon’s Dad, Professor Black, The Ruler), Robyn “DJ Reborn” Rodgers (The Mutha), and Kara Young (Sweet Tea,Gordon’s Mom). We must say the cast is phenomenal. They hit all the right notes! And if you ever vied for a young woman/man’s attention, you can relate. What have you done for love? And in the course of that, what did you discover about yourself? What was revealed? Now there is some explicit language/adult content in Syncing Ink, so no children. Definitely a great date night, girlfriends night out or just a night at the theater! This must-see production has won 2 Girls Who Travel’s seal of approval. Syncing Ink runs from Feb. 3 – March 5, 2017. Shows are Tuesday – Thursday at 7:30pm; Friday at 8pm; Saturday at 2:30pm and 8pm and Sunday 2:30pm and 7:30pm. For more info, visit alleytheatre.org or call 713.220.5700.